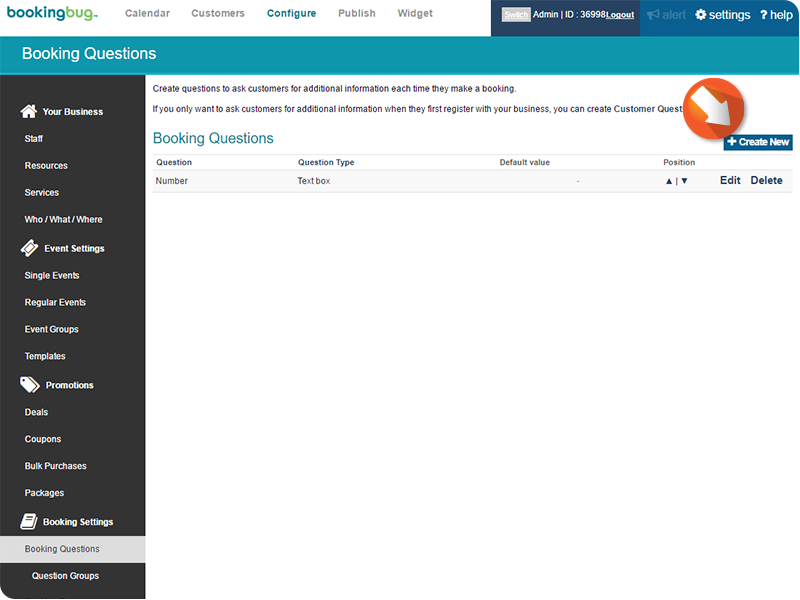 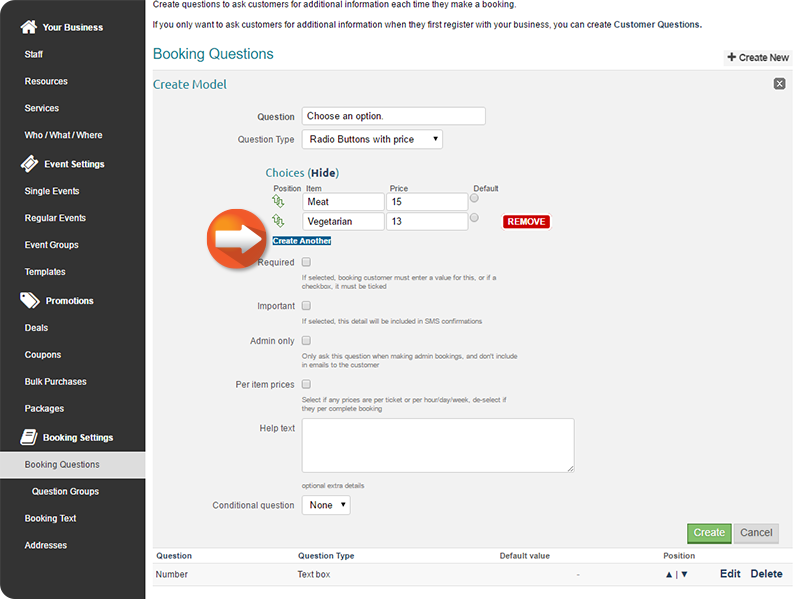 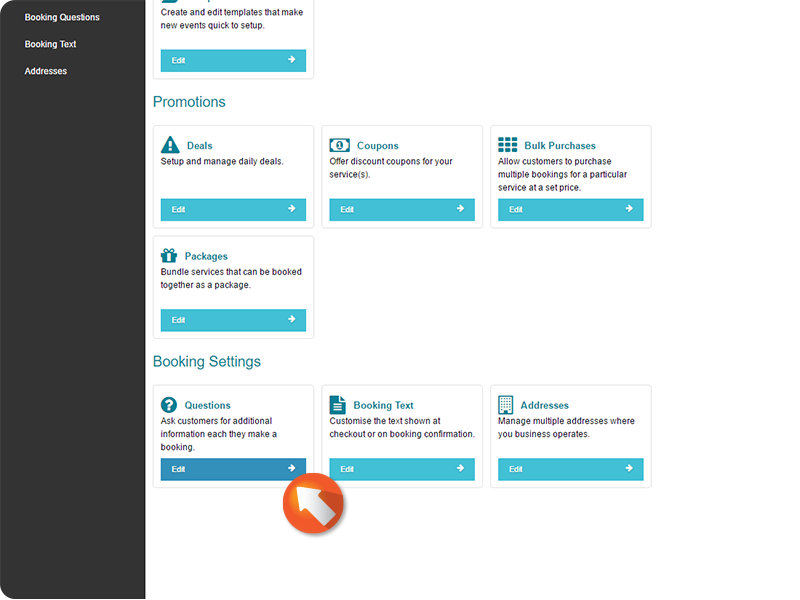 Use the Admin-only checkbox to select whether Customer's will be able to view and answer the Booking Question. 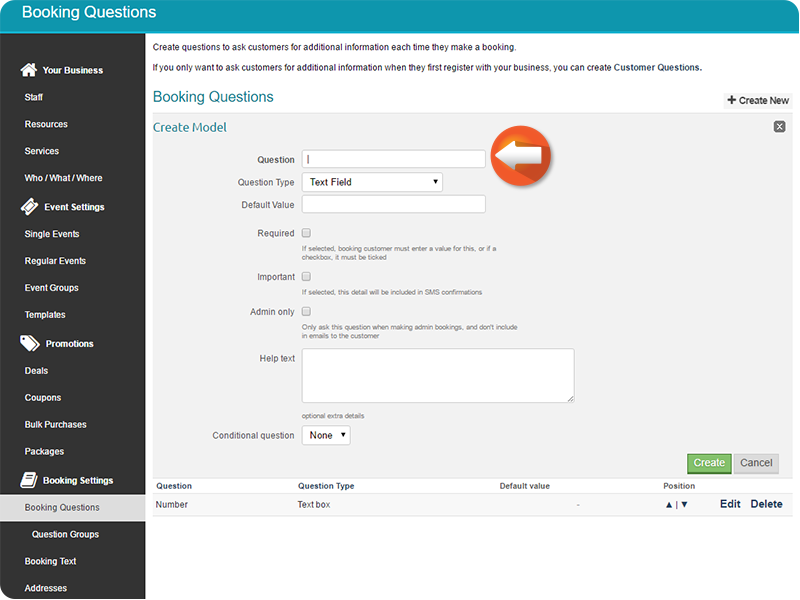 Administrator-only Questions will only be asked when an Administrator of the Business creates a Booking. 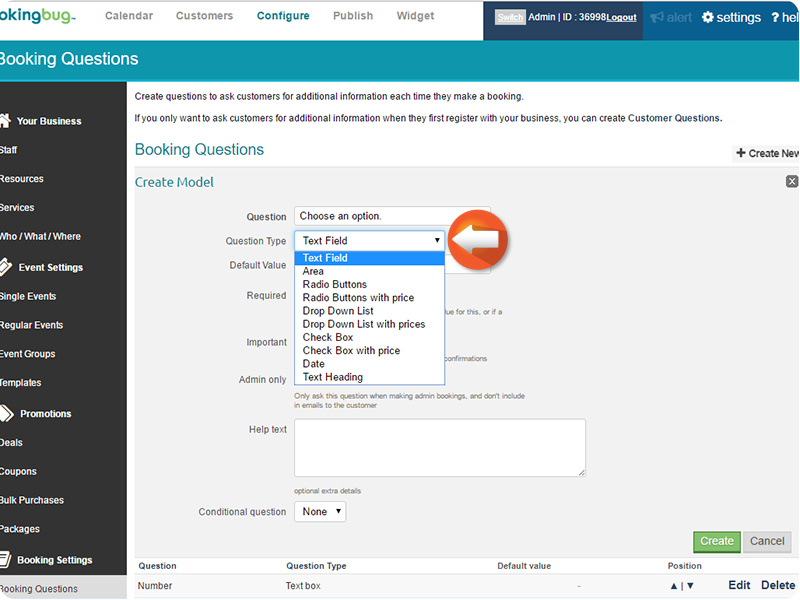 Use the Per item prices checkbox to select whether Prices listed in the Question choices apply per ticket, or to the entire order. 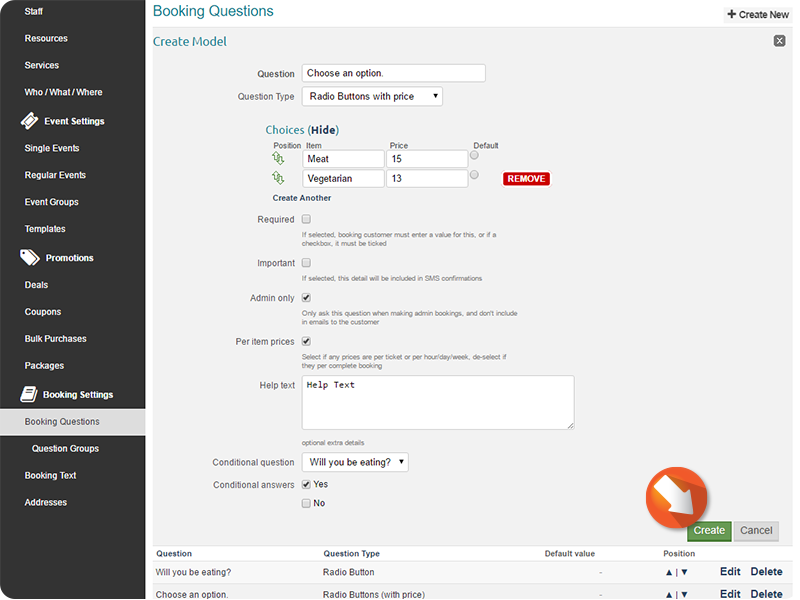 Enter Help text to provide additional instruction regarding the Booking Question, if desired. 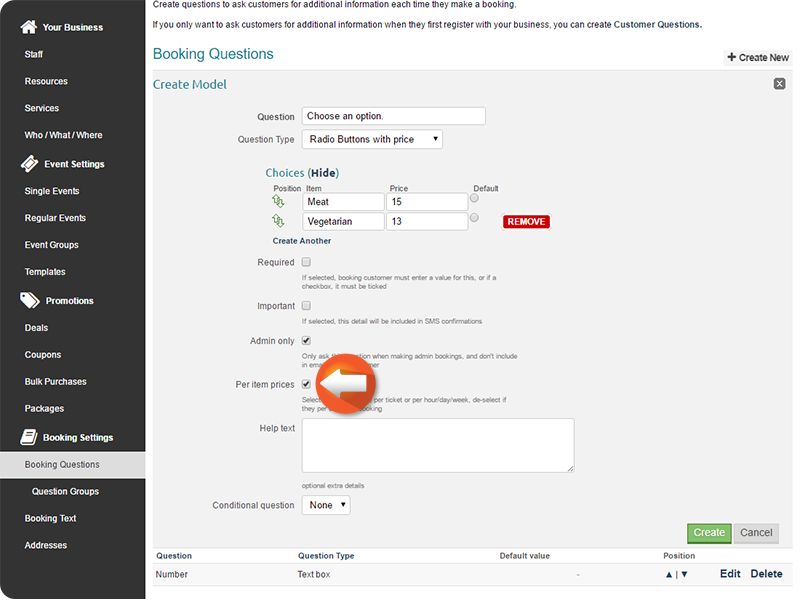 Click the Conditional question dropdown menu to select a Conditional Question, if desired. 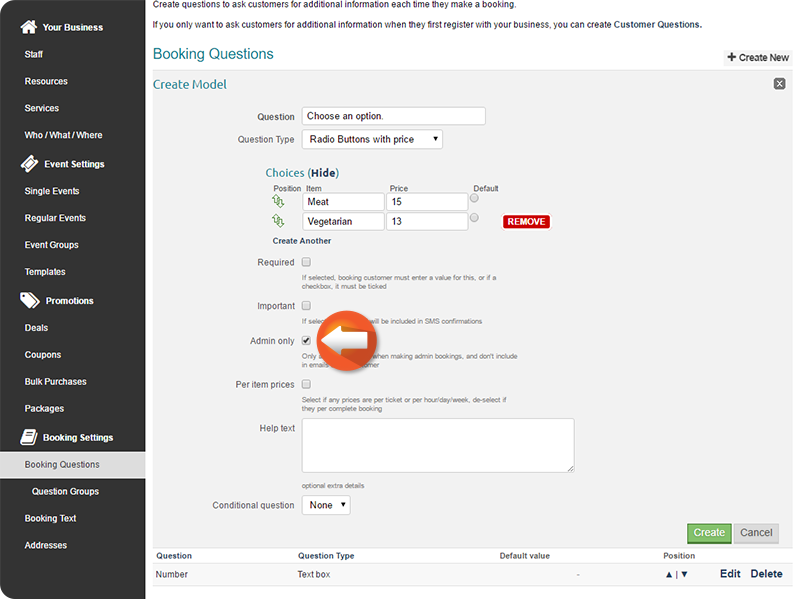 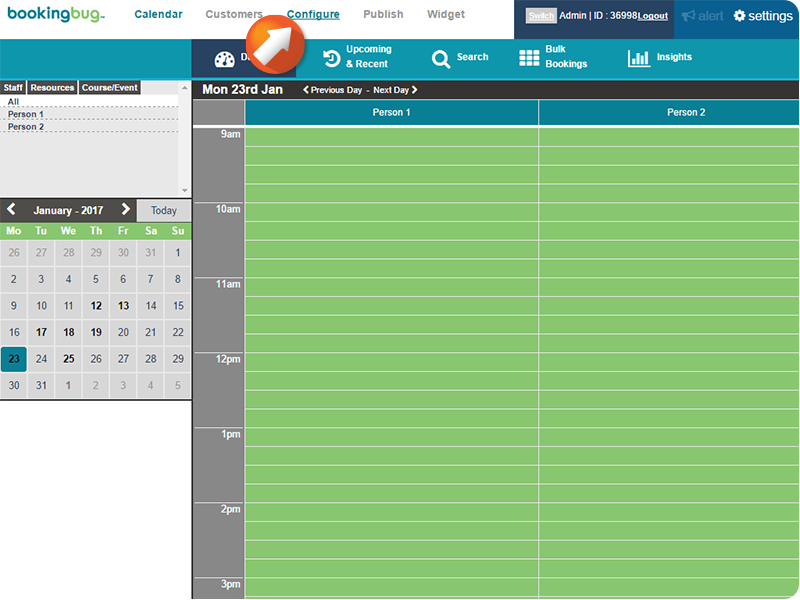 The currently configured Booking Question will only appear if the Conditional Question is answered in a certain way. 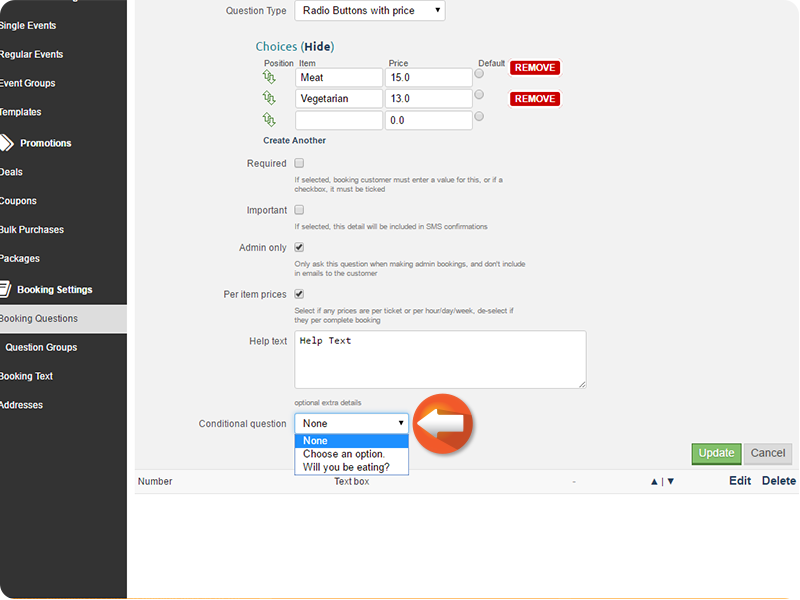 Click to select the desired Conditional answers for the Question. 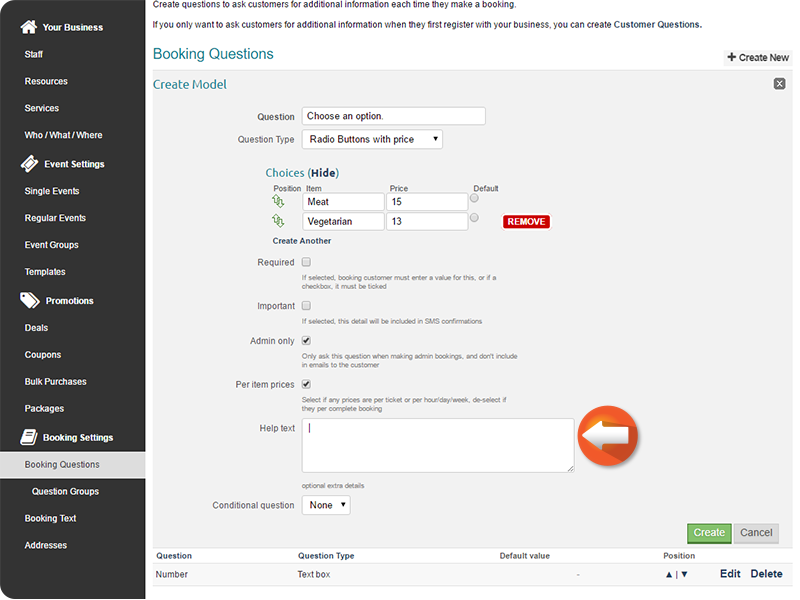 The currently configured Booking Question will only appear if one of these Conditional answers is selected.